YiaYia and Papou came for lunch today with Pan’s sister, Eva, and her Griwi (on account of their father, Keri, being a Kiwi) twin boys, Otus & Leo. This was the first time we’d all had lunch together at our house where the food hadn’t been prepared by YiaYia. Usually, YiaYia likes to be the one doing all the cooking and will arrive with roast chicken, goo-ey lemon potatoes… maybe stuffed peppers or some fish… but always houmous and always something sweet. While I was in hospital after having Zachy, she arrived with kleftiko (slow cooked lamb) and potatoes. Another time, spanakopita (Grenglish for spinach pie) turned up in a cab with BB. On holiday in Crete last summer, we all gained half a stone. She loves to cook for her family and really wouldn’t have it any other way. YiaYia had planned to make Kritharaki (Grenglish for chicken & orzo) for lunch today but in a rare brave move, I insisted on making lasagne… and she let me! 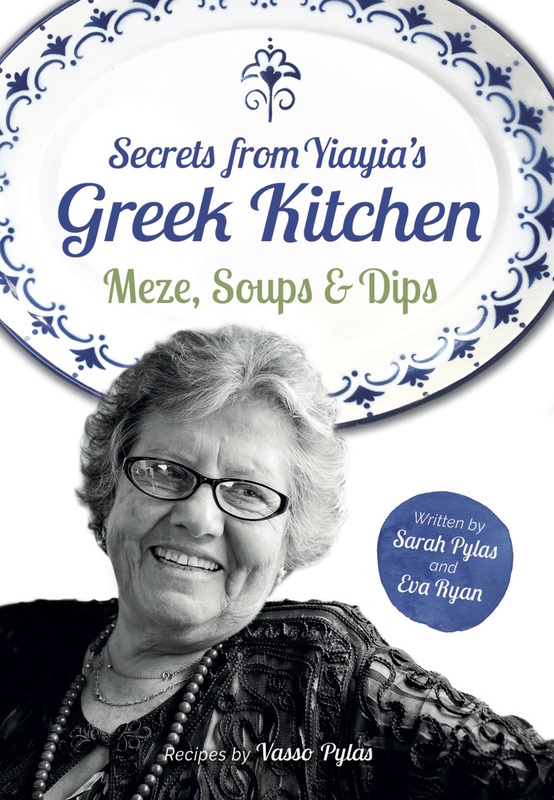 Then, the nerves really set in because although I can rustle up a few things in the kitchen and follow a Nigella Express recipe ok, I am certainly not an accomplished cook like YiaYia and Kritharaki is my favourite Greek dish. What was I thinking?! Lins still teases me about the time I asked her how to cook hotdogs and Donna about the time she had to teach me how to chop an onion. I have got slightly better since then but the smoke alarm still goes off every time I cook sausages and I still manage to burn toast. Oh well, you can’t be good at everything! YiaYia didn’t turn up completely empty handed though – she baked a cake and brought homemade houmous and tzatziki with her, which Zachy has been happily dipping his breadsticks into all afternoon. She also brought psari (fish) for Panagiotis to eat tomorrow and a bottle of wine. It was good to give YiaYia a day off from looking after us all but while P is now working his way through her houmous and tzatziki, I’m still thinking about Kritharaki.